So we’re opening up the lake cottage this weekend–yay! We’re up and running–the water’s back on, the yard’s been cleaned up, the bathroom’s are cleaned, and the vacuum’s been run. We still have to wash windows/windowsills, scrub the back of the house, scrub the deck, and set up the porch furniture, but we’re getting there. It’s a gorgeous day here–60 degrees and sunny, sunny, sunny. We took some time out to Skype with Son and Grandboy, which is always a joy, but now I’ve got to head back outside to help Husband clean the deck. Before I go though, here are a couple of fun places for you to check out if you’re just sitting around wishing you had something really exciting to do today. First stop by Word Wranglers and meet podcaster Dr. Kelly Jones of Southern Fried Scholar fame. She is delightful! 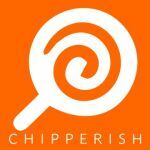 If you haven’t listened to the new episode of JED BARTLET IS MY PRESIDENT at Chipperish Media, then definitely head on over there next. Lani Diane Rich is always a ton of fun and I love spending an hour in denial with her each week. Husband sent me a fascinating interview with author Lionel Shriver this morning, where she discusses her new novel The Mandibles with talk show host, Mark Steyn. Steyn is a terrific interviewer and, although I’ve never read her before, I’ve heard about her and from this interview, she seems like a smart and very interesting woman. I love finding new authors, so I just ordered this book for my Kindle. Anytime I get to see Son and Grandboy. Lake season is here and I am so ready! A fun evening with our friends Moe and Rich last night–good friends, good food, good wine, good fellowship. Nice! Saving Sarah –book 4 in the WOWB series–is moving right along, thanks to the characters basically taking over the story. Tomorrow BFF Liz and her Hubs are coming over to share some lake fun with us! Can’t wait!